Hamilton Princess & Beach Club employees, from a number of departments at the hotel, today [Dec 1] volunteered their time at Clearwater Middle School. The team, affectionately known as ‘The Pink Squad’ spent the day preparing and painting the walls of the school’s music room and ensured that they left the space clean and ready to be finished in the new year. This is one of many projects that Hamilton Princess & Beach Club employees have undertaken, as part of their ongoing community outreach programme. They will be returning to Clearwater Middle School in 2018 to continue working on the music room, and get it ready for students. 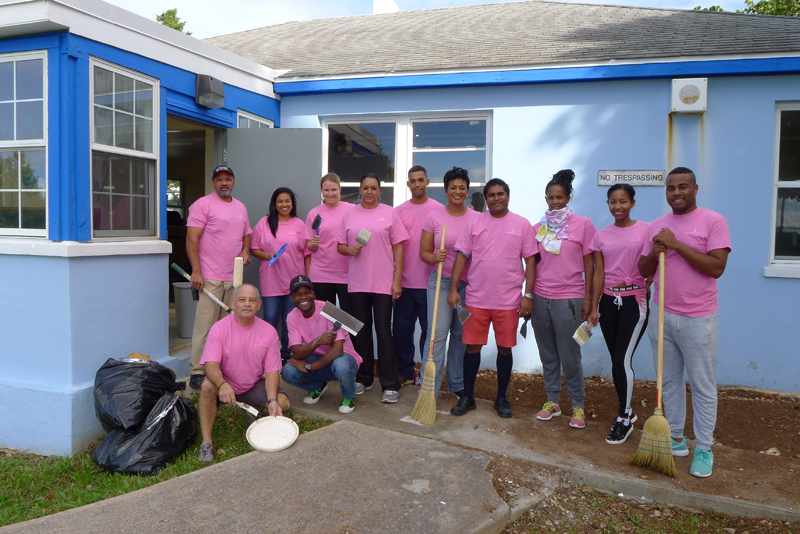 Roydell Neverson, Director of Rooms at Fairmont Hamilton Princess, said: “We are proud of the work that the Hamilton Princess & Beach Club team achieved at Clearwater Middle School today.